Found a piece of furniture at a reclamation yard and want to find gorgeous wood beneath the layers of paint? Get stripping, and reveal all with our step-by-step guide to removing paint from woodwork. 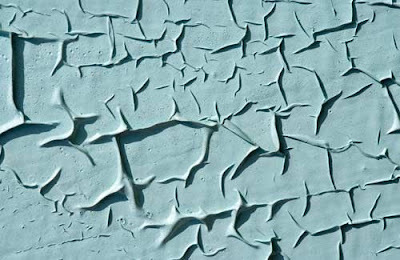 Use this guide for stripping paint from other areas around the house, too. There are three ways to remove paint from woodwork: sanding (messy, but effective on lightly painted surfaces), an electric hot air gun (quick over large areas), or chemical stripper (very messy but a good option if you are trying to budge awkward to reach or stubborn paint). You will need to wear safety goggles and a mask, plus rubber gloves if you’re using chemical strippers. Hand sanding is suitable for small flat areas that don’t have much paint on them. Use a sanding block to make the job easier and sanding more even. For larger areas, you could hire a mechanical sander from HSS. An electric hot air gun is a useful tool for removing paint from wood. You will need to keep the gun moving to avoid scorching the surface. Use a stripping knife to remove the paint as it lifts. Use the gun carefully to avoid heating anything other than the paint you’re removing. Chemical strippers, available from DIY stores, are good for intricately carved wood. You will need to follow the manufacturer’s instructions as these vary. Make sure you keep the area you’re working in well ventilated. Protect the floor with dust sheets or thick newspaper. To get a chemical stripper into nooks and crannies on intricate woodwork, use wire wool. Also, check the manufacturer’s instructions to see if you need to neutralise the stripped woodwork.